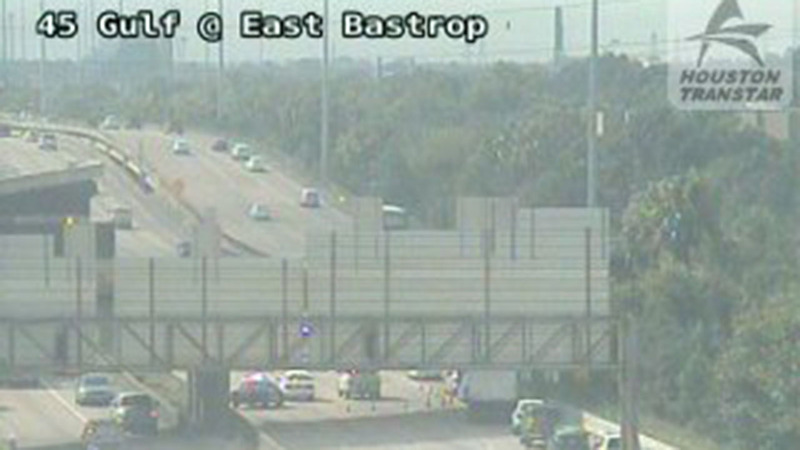 HOUSTON (KTRK) -- A motorcycle officer was involved in an accident on the Gulf Freeway at Scott St this morning. He is being transported to Memorial Hermann Hospital for a leg injury. A second officer was not transported. The officers were en route to the funeral for Pearland Officer Endy Ekpanya, but were not part of the casket procession itself. The injured officer laid his bike down trying to avoid striking the other motorcycle officer.